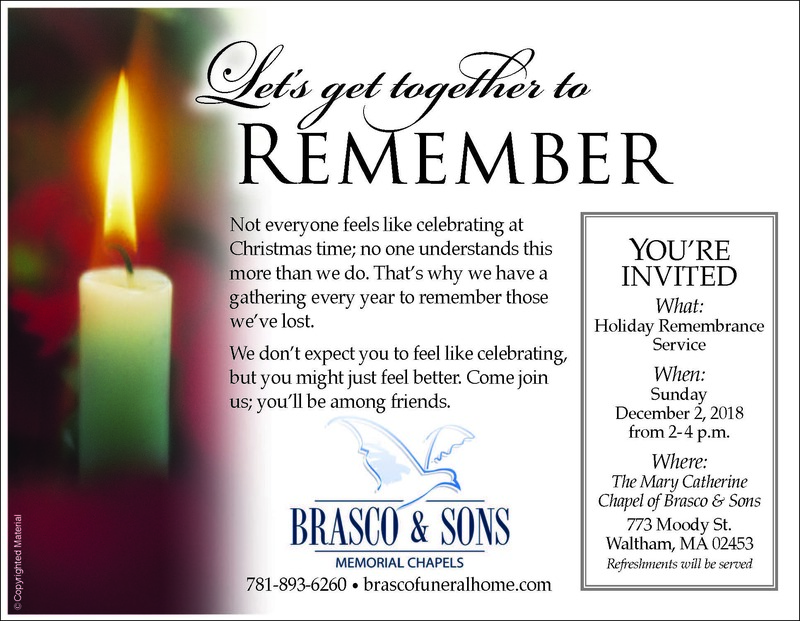 Welcome to Brasco & Sons Memorial Chapels Inc. Thank you taking the time to visit our website. A great deal of time and effort has gone into providing this service to our community and the families we serve. We are constantly enhancing the information in this medium and hope that you find it helpful and convenient. We are here to continue to provide the highest standards for our community and to the families that we serve. We are pleased to provide this service to you and the families we serve. The current funerals entrusted to our firm are listed below. If you are unable to visit our facilities, you can still be with the family in thought by signing the online guest book, expressing your condolences or share your most memorable recollection about the deceased. You can also place a memorial donation, send a floral tribute or be reminded of the anniversary of a death.